Total Networks Inc – We Make IT fun! Face it, the world is changing fast. Competition is global, business is 24/7 and economic pressure is rising. Traditional business practices – such as productivity, efficiency and customer satisfaction – are more important than ever. But newer challenges – virtual workforces, network security, mobility, quick and Unified Communications – are now demanding our attention. It is no longer acceptable for IT to simply exist within a business environment – IT must drive the business – its process, applications, communications and its success. And it must drive business in a secure, reliable manor available to employees and clients alike anytime, anyplace. It’s not an easy task. But success never is. And we’re here to help. 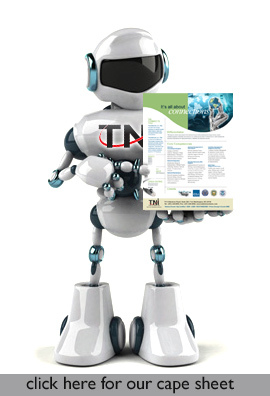 Established in 1999, Total Networks, Inc. (TNI) provides technology solutions to help the people within federal, state and local governments make connections. Total Networks, Inc. (TNI) is a full service Network Technology Company that primarily provides network enterprising consulting, integration, operations and maintenance services to solve complex problems faced by organizations. Through building relationships with and focusing on our clients’ business goals, we accelerate business productivity and satisfaction with full-scale customized technology solutions including consultation, project management, manufacturer-certified training, carrier services, telephony, software and application services, equipment procurement, local and wide area networks, managed services and digital, interactive and mobile media design. Our trusted partnerships and industry-recognized affiliations offer our clients the widest breadth of technology solutions and expertise. Our Always On Imperative focuses on IT as a core business utility, driving strategic business productivity and customer satisfaction.